When it comes to toddler-sized city transport, the Smart brand has the micro-car segment all to itself. 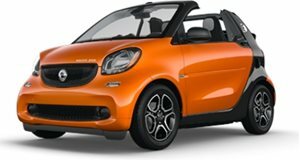 The Smart range has been on sale in Europe for 20-years and to celebrate they have released the forease concept car. It draws its inspiration from the 2001 crossblade and 2011 forspeed concept vehicles and similarly does without a roof. Smart says that the forease promises a carefree driving experience, freed from convention, yet in harmony with its surroundings. Except, possibly, when it’s raining. Driving around today’s congested and pollution-filled city centers in a convertible may not seem like a smart idea but the forease is all about looking to the future, one where urban mobility is based around non-polluting vehicles just like the current Electric-powered Smart range. "The smart forease is proof that Smart thinks unconventionally. Its design is reduced and pure," says Gorden Wagener, Chief Design Officer, Daimler AG. 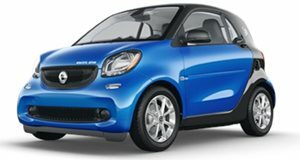 The forease may not be destined for production but it is fully driveable and uses the Fortwo EV’s running gear, which means an 80 horsepower output and an approximate range of 58 miles. Not big numbers but enough for the short urban trips these cars were designed for. The however it has never managed to gain much traction thanks to cheap gas, our love of trucks and pricing that pits the little cars against much larger competitors. Local offerings are now down to the coupe models and while we are getting the cabrio models too, the dealer network has shrunk down considerably in recent years. So, while , the future of the automobile, at least in European city centers, may well take the shape of cars like the forease concept.